Welcome to Monitor Long Island, Inc.
We specialize in bringing our customers and web audience the latest information on how to monitor radio communications from various agencies across Long Island. Monitor Long Island, Inc. owns, hosts, and maintains several websites dedicated to the first responder and “buff” community. In addition, we also provide websites for several community and public service organizations. For a full list, please view our portfolio. Monitor Long Island, Inc. specializes in scanner radio programming. We program radios for personal use as well as commercial businesses and media. We can also help you design your listening station. Consulting services are available. Please check out our Scanner Radio Website, W2LIE.net, for more details on our programming services or to contact us for consulting. 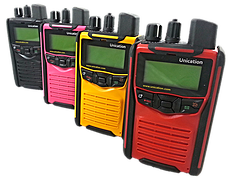 The popular Unication G1 Fire Pager is now available in four colors. All pagers come stock with 64 memory channels, 16 minutes of stored voice, 11 minutes of voice memos, and support Bluetooth. The G1 pager is submersible, supports 8 frequencies per scan list, and a long list of additional features. Monitor Long Island offers competitive pricing, demo pagers, and basic programming is always free with your pager. Check out our full list of Live Scanner Feeds covering Nassau and Suffolk Counties on Long Island. We have feeds for Nassau Police & Fire, Suffolk Police & Fire, Special Feeds, and a Remote Radio you can control via your personal computer. For the full list, please click here. We are always looking for more live feeds. If you can help, please contact us.